The view from the proposed new Apple Store. Apple’s ambitions to open a new “global flagship” Apple Store in Melbourne, Australia, are at risk — thanks to the granting of a new heritage protection order that will let the government deliberate on whether to permanently protect the site. The store, supposed to be located on Melbourne’s Federation Square, has been the subject of controversy since day one. The new heritage protection status, which runs to late 2018, could prevent Apple from opening its planned retail outlet. On paper, the order doesn’t affect Apple’s timetable. Construction wasn’t due to start until 2019, meaning that a temporary halt on work until the end of this year changes very little. It states that no work can begin in most parts of Federation Square until December 21, without express permission from Heritage Victoria. But it does show that permanent protection for the site is being considered. The Federation Square Apple Store proposal has proven divisive since it was first announced. 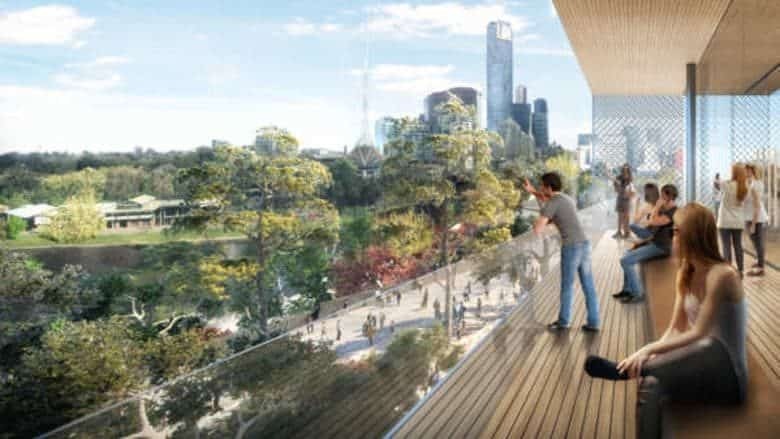 The major cause for concern from some Melbourne residents was based around the supposed commercialization of a space that was originally intended for public events and cultural, along with public vigils and protests. More than 95,000 people signed three separate online petitions asking the government to reverse its decision. On the flipside, the hope is that the new Apple Store would attract an extra two million people to visit the area every year, along with creating hundreds of jobs. Earlier this year, an attempt to block construction of the store failed in Australian parliament. Apple has, however, backed down on some level by scrapping its original store designs for ones it hoped would prove more popular. This included ditching a planned pagoda-style roof for a more minimalist understated design in keeping with the area. It will be interesting to see what happens next. The store isn’t scheduled to open until 2020, meaning that there is still time for this issue to get settled. However, Apple doesn’t always hang around when its plans get dragged out. In May this year, Apple ditched plans to build an 850 million euro ($960 million) data center in Ireland after a series of delays caused by complaints.